Aroma : pungent, herbaceous odor. Broccoli Seed Oil is cold-pressed from the seeds of broccoli sprouts. Composed of approximately 50% Erucic Acid, and Omega-9 fatty acid, it is an excellent substitute for silicone in hair products. Giving a velvety feel and natural shine to both the hair and skin. Broccoli Seed Oil has a pungent, herbaceous odor. It is light, non-greasy, and absorbs into the skin easily, making it great for both Dry and Oily skin types. 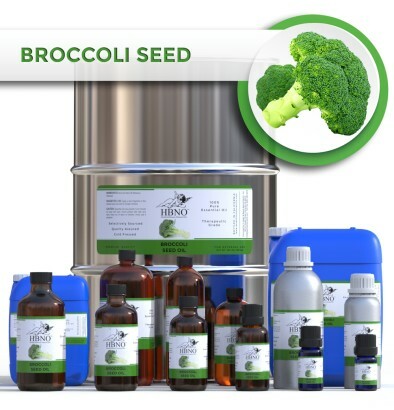 HBNO is pleased to offer Broccoli Seed Oil in small packing to bulk and wholesale quantities. We can supply any amount of oil to anywhere in the world.